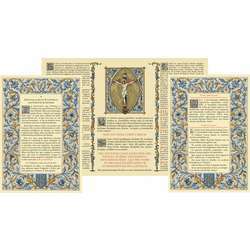 ... of altar cards is offered as a gift the text - on cardboard - prayers recited by the priest by donning the vestments. these prayers are in Latin. Each religious item has 3 pieces: the central one and two lateral ones. 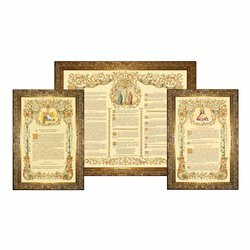 The sale of one of the pieces of the altar card is not possible. 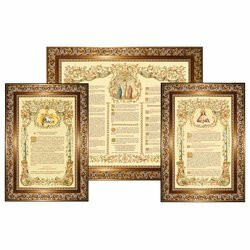 The difference between the different models is not only in terms of aesthetic appearance: the "gold" altar cards (reference CAN091OR73 and CAN510OR73) are more complete and are suitable for solemn masses. They include both the blessing prayers of incense and incense from the altar, as well as the two prayers said by the priest when he ascends to the altar after the confiteor. For more details you can consult the sheet of each product. 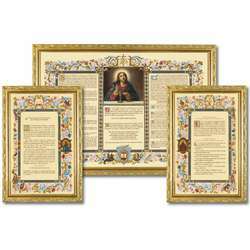 The altar cards are tablets that are set up against the tabernacle and the tier of the altar, to help the priest's memory in reciting certain prayers of the Mass. The altar cards do not date back to the 16th century. No author speaks of it before Saint Charles Borromee. This explains why in ancient liturgies the altar cards are unknown. The shape of the altar cards varied according to the times. Some altar cards had become so heavy because of ornamentation that they were mounted on wheels or even on rails. Nowadays they are composed of three separate paintings. For the celebration of the mass according to the extraordinary form, according to the headings, only the central altar card is obligatory. When the last gospel is read in the missal, such as Palm Sunday and the third Mass on Christmas Day, the card of the Gospel of St. John should not be put on the altar even for the sake of symmetry. 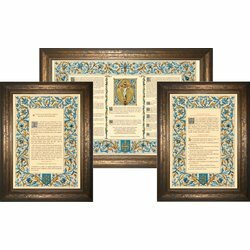 After Mass, the altar cards must not remain on the altar or lie flat under the altar cover. This prescription is valid for the high altar or the altar of the Blessed Sacrament. 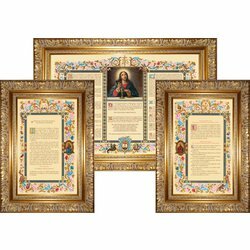 For a side altar or an oratory, custom tolerates the presence of altar cards outside of the mass. Note: the extraordinary form is the name given to the so-called mass of Saint Pius V; for the mass of Saint Paul VI, we speak of ordinary form. This terminology was put into effect by Pope Benedict XVI, because the mass of St. Pius V and the Mass of Saint Paul are two forms of the only Roman rite of the Latin liturgy.